The discovery of a new botanical species during a research study conducted in Andalusia attests that even though olive groves have lost a lot of their biodiversity in the past few decades, they remain a solid flora and fauna foundation that makes them an ideal platform to recover biodiversity, an added-value of olive and olive oil production. The findings were part of Olive Alive’s LIFE Project, an initiative coordinated by SEO/BirdLife and conducted by the University of Jaén and Spain’s Higher Council for Scientific Research (CSIC) through 40 olive groves in 20 Andalusian locations. The study, results were unveiled this month, was conceived to quantify diversity as a basis for future assessments of the impact of actions implemented to recover biodiversity. It demonstrated that biodiversity can be a good investment that can contribute to a greater profitability in olive cultivation and oil production and must, therefore, be considered when developing new agricultural policies and practices. Linaria qartobensis was the botanical species discovered in an olive grove in Córdoba. It displays different traits than other Linaria species, such as shape, color and seeds, and has now been included in Spanish and global registries. A total of 549 herbaceous species and 137 woody species were registered through the study. On the animal side, 165 bird species from 199 genera were identified during the study. Olive groves serve as their habitat for nesting, hibernation or as transit during migration. Twenty-six of the species had some sort of menaced status, including two in danger of extinction: red alzacola and great bustard (Otis tarda.) One hundred nineteen pollinator insects and 58 ant species were also registered, one among which appears to be a species considered extinct since 1960, Aphaenogaster gemella. The figures represent an average between all olive groves studied as biodiversity is not homogenous through them all, varying depending on the management of soil, the application of conventional or biological agriculture practices, the size of the plots, and the complexity of the landscape. Simple landscapes were those where olive trees predominated with a limited presence of other crops; landscapes of intermediate complexity were those in which olive trees are intertwined with other crops and other vegetative elements; and complex landscapes were places where olive groves were not necessarily dominant, coexisting with a great array of other vegetal elements. Just five years ago, a group of neighboring farmers in Sierra de Cazorla, Spain decided to work together and produce high-quality olive oil with respect for the environment. Last month, their Dehesa de la Sabina earned the industry’s top award. 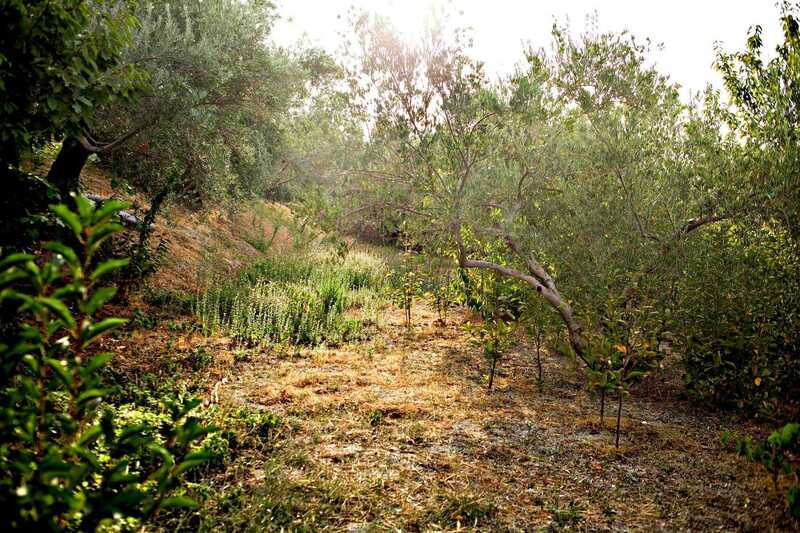 Olive groves were sampled and indexed in terms of their extension, cultivation methods, functional diversity, heterogeneity, relationship with the landscape, and value for preservation. A list of species, genera and families of each group of organisms used as biodiversity indicators was created for each grove sampled and maps delineating the uses of each territory were also prepared. The aggregate sample represented a little less than 10,000 hectares from a total olive grove surface of 1.5 million hectares in Andalusia. Samples were obtained from April 2016 through May 2017. The loss of biodiversity in Spain began in the late 1980s when mass-production agricultural practices were adopted because of the country’s incorporation into the European Union’s Common Agrarian Policy. This simplified cultivation eliminated all elements not strictly related to olive trees, a destruction accomplished mostly with pesticides and herbicides. This not only contributed to a significant loss of biodiversity but over time led to exposing crops to evolving pathogens. Biodiversity contributes to soil fertility and to control erosion, plagues, and diseases. Olive Alive seeks to reintroduce biodiversity into olive groves to increase their profitability by devising growing models that help improve the quality of olive oils and are compatible with the preservation of ecosystems. Some actions proposed towards this end include the management of herbaceous covers and the restoration of unproductive zones through the planting of specific trees, bushes, and herbs, along with the creation of functional elements to shelter animals favorable to biodiversity. Earlier this 2018, SEO/BirdLife began its participation in a two-year collaborative project that will study herbaceous covers of native species in olive groves, in an attempt to transfer knowledge about sustainable practices through demonstrative trials in the groves, also consolidating agronomical tools for soil management that can help control erosion, maintain fertility and preserve biodiversity.